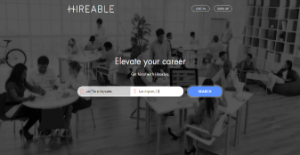 Hireable.com is a job finders’ platform based in Irvine, California. The website aims to bring people closer to their dream jobs and also places a pool of talents within the reach of companies. With Hireable.com, employers gain numerous applications from job seekers’ from different countries, regions, and territories. The platform itself posts open positions for employers based in the United States though it accepts profiles from people from all over the world. This opens more possibilities for companies to engage with quality potential employees who hail from different places. With the platform’s diversity, employers themselves are also able to diversify their employee population. With Hireable.com, employers are able to gain the visibility they need to reach the potential employees they need. The job posting service enables job seekers to find employment through its robust search engine; a single keyword returns numerous results. And if companies want to have a wide reach, all they have to do is to add the right keyword for the right audience. Companies need not worry about missing out on potential candidates who may be using Hireable.com but are not active on the site itself. The job seekers’ platform enables prospective employees to set job alerts for positions they are interested in. With this feature, they can know when a company has an availability they are suited for. When a job fits, Hireable.com lets job seekers know. This way, they can apply for positions at different companies where their abilities are needed. With this tailoring feature, employers themselves are able to expand their scope with the assistance of the platform. Users need not fear about their information being compromised with Hireable.com. The job finders’ platform ensures that only relevant data are viewable to other parties such as partner companies. Additionally, though a job seeker’s resume is made searchable via search engines, what they do not place on public display remain private, such as their job alerts or companies they have applied for. If you are considering Hireable.com it may also be a good idea to examine other subcategories of Best Freelance Platforms listed in our database of SaaS software reviews. It is crucial to keep in mind that hardly any software in the Freelance Platforms category will be a perfect solution that can match all the needs of different company types, sizes and industries. It may be a good idea to read a few Hireable.com reviews first as specific solutions might perform well just in a very narrow set of applications or be prepared with a very specific industry in mind. Others can function with an idea of being simple and intuitive and as a result lack advanced functionalities desired by more experienced users. You can also find services that focus on a large group of customers and give you a powerful feature toolbox, however that frequently comes at a more significant price of such a solution. Make sure you're aware of your needs so that you choose a service that offers exactly the elements you look for. How Much Does Hireable.com Cost? Hireable.com is a job posting site that allows employers to post available jobs, and employees to use them for free. Also, job seekers are able to create accounts with the website without worrying about enterprise pricing plans. We realize that when you make a decision to buy Freelance Platforms it’s important not only to see how experts evaluate it in their reviews, but also to find out if the real people and companies that buy it are actually satisfied with the product. That’s why we’ve created our behavior-based Customer Satisfaction Algorithm™ that gathers customer reviews, comments and Hireable.com reviews across a wide range of social media sites. The data is then presented in an easy to digest form showing how many people had positive and negative experience with Hireable.com. With that information at hand you should be equipped to make an informed buying decision that you won’t regret. What are Hireable.com pricing details? What integrations are available for Hireable.com? If you need more information about Hireable.com or you simply have a question let us know what you need and we’ll forward your request directly to the vendor.